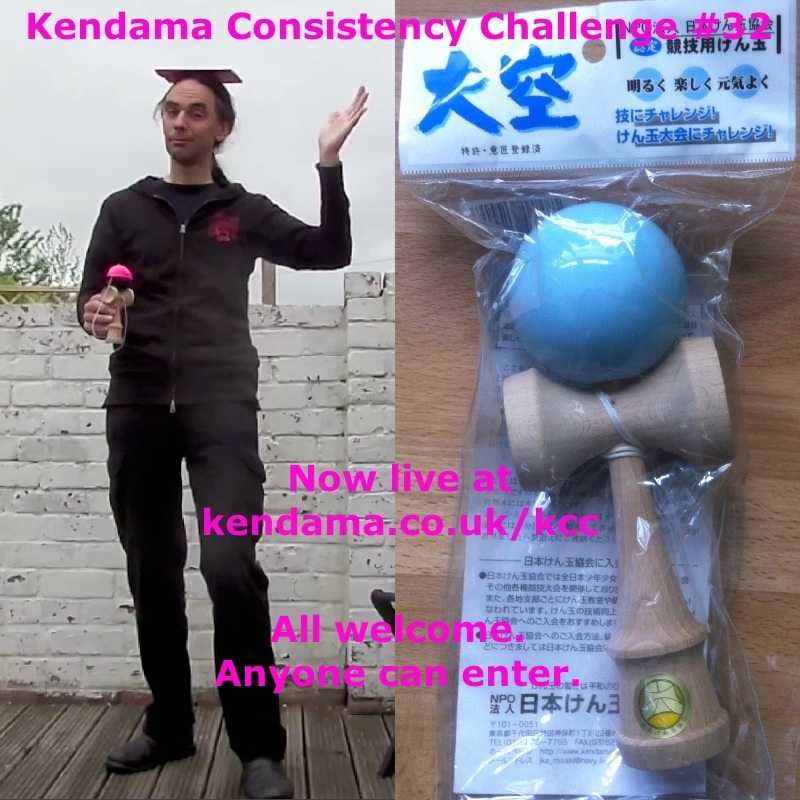 Kendama: "Elegant Simplicity. Infinite Complexity. Ultimate Fun." 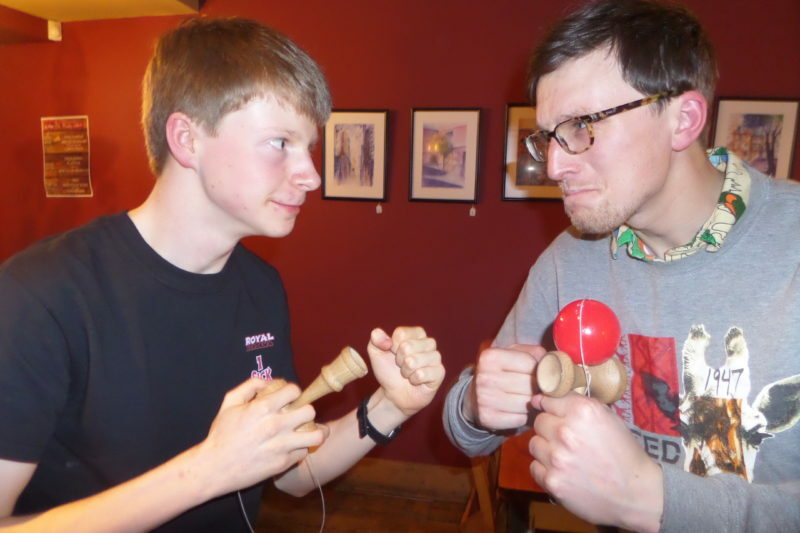 Congratulations to Rob Henman for retaining his title as British Kendama Champion, and earning himself a trip to Japan! 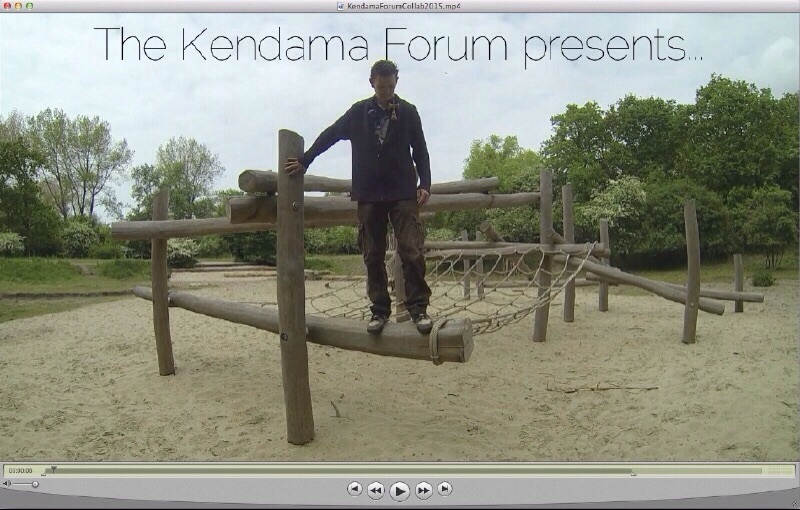 Full results are listed here on the kendama forum. Meetup Jams imminent in Cardiff and Brighton! It’s just a month to the Irish Kendama Open! Coming to the BKO? 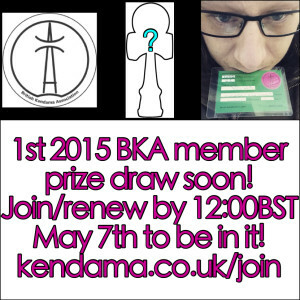 Help to publicise it, and win a little prize. Contribute to the forum collaboration video! 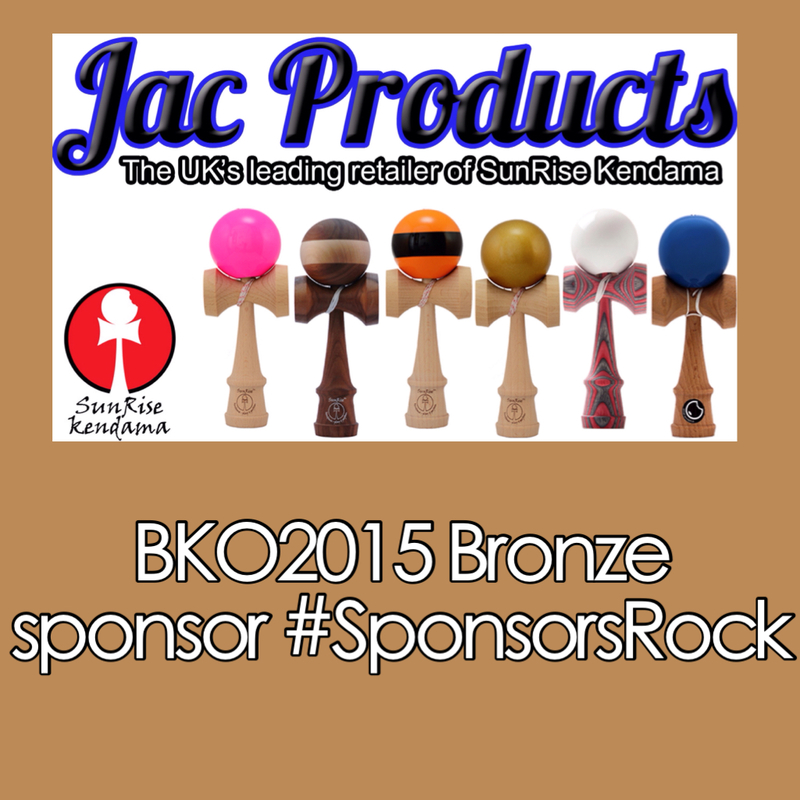 Check the BKO trick lists out. Win a flight to Japan! Save money by pre-registering for the EJC (for the EKO). KendamApp is now free on iOS! M!a!y!b!e! t!h!a!t!’!s! t!o!o! m!a!n!y! e!x!c!l!a!m!a!t!i!o!n! m!a!r!k!s! f!o!r! o!n!e! p!o!s!t!? 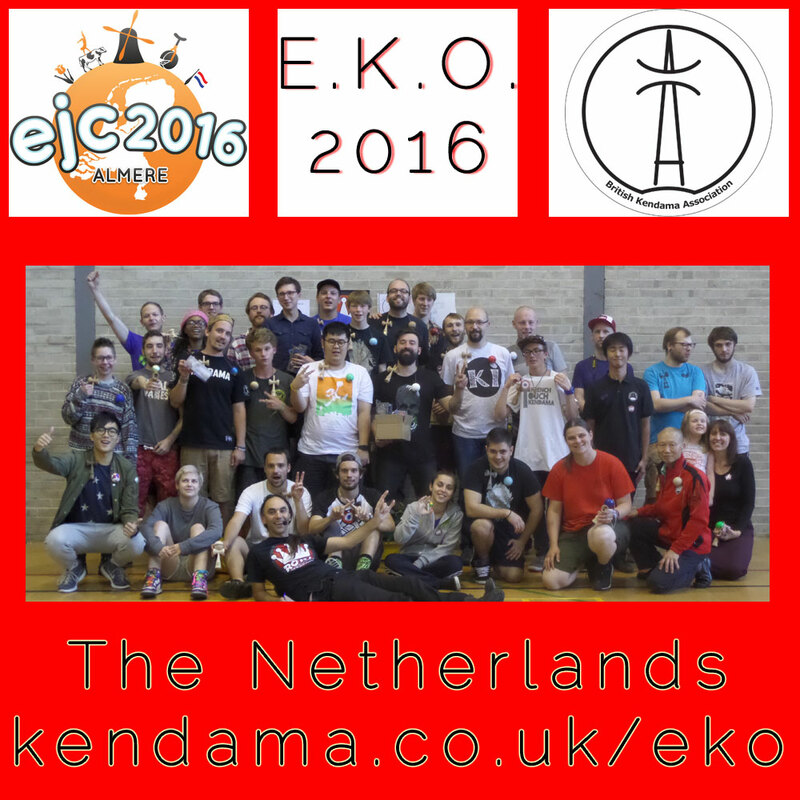 We’re pleased to announce that the 2016 European Kendama Open will be in The Netherlands. 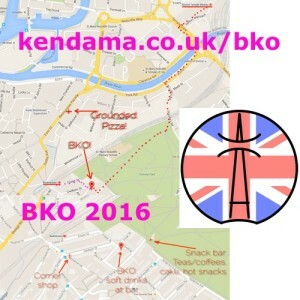 Please see http://kendama.co.uk/eko for details. Please use the forum thread for asking questions. It’s EKO week! 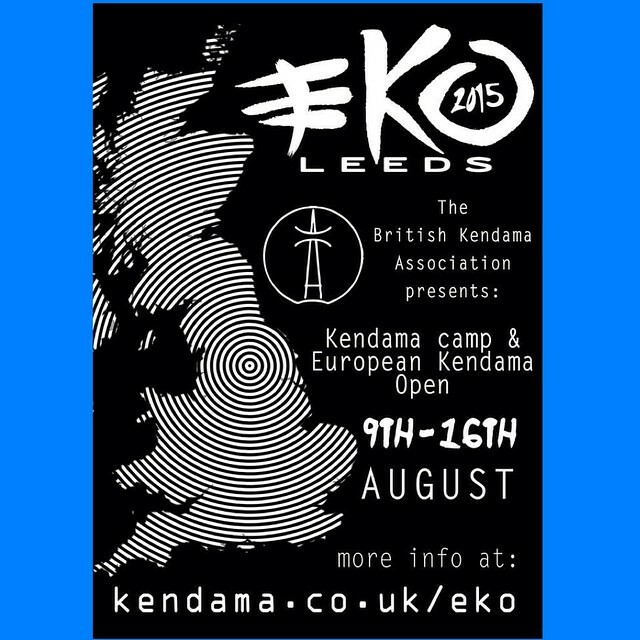 Kendama Camp starts today, in the build-up to the European Kendama Open championships on Saturday. We may do some livestreaming on our Bambuser. Collab video hits the streets! We had a great time at the BKO this weekend. Full results are up on the forum. 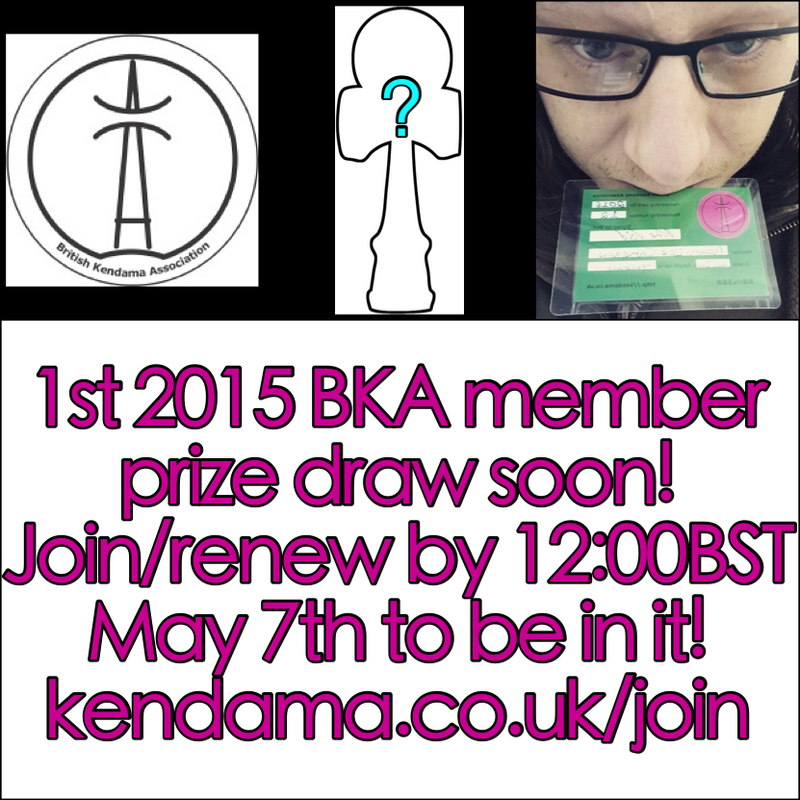 The first BKA Member draw for 2015 will be happening this Thursday. Make sure you’re signed up in time to be in it! 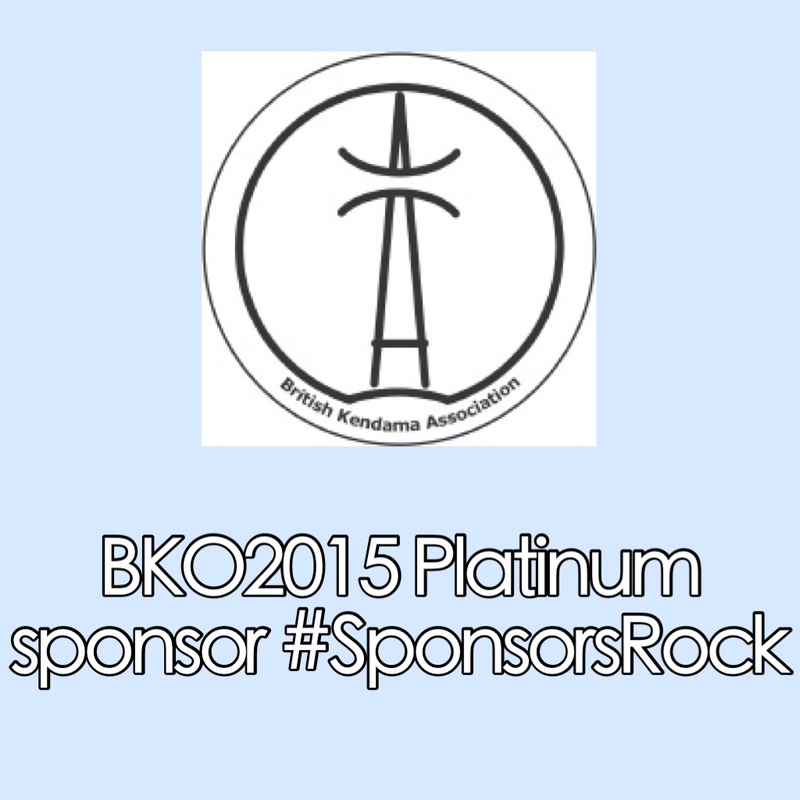 Thanks to these great guys for being BKO sponsors! 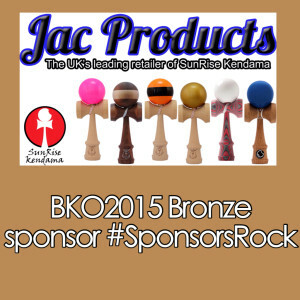 Thank you to Jac Products for becoming a BKO sponsor. 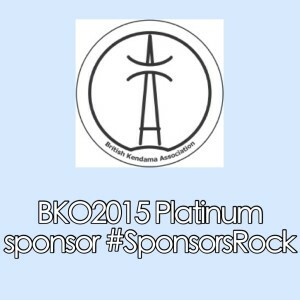 #SponsorsRock!